"- Javon Freeman-Liberty (nephew of Marcus Liberty) stole the show in the Whitney Young - Fenwick game with 35 points. He's rail thin, but a great athlete who's skill-level keeps rising. I don't blame the staff for not going after him (no P5 schools really did), but I can't help but think he might turn into a really good college player at Valpo, and we'll be kicking ourselves for not seeing it sooner." Marcus Liberty's nephew. 6'4", 170 & a terrific slasher & pretty good shooter. I wonder if it's too late to dissuade him from Valpo. A 6' 10" forward? Niiiiiice. 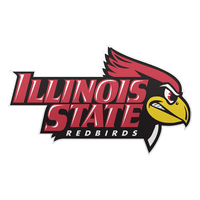 All these recruits you are posting on here, are they players Dan is recruiting, do they/or have they had visits at ISU, has Dan offered them yet?